Fun Fact: We love the Hello Kitty x Puma Collab! The matching red Kitty jumpsuits!!! EPIC! We are all about matching track suits and so it was a must that we shot in front of the CN Tower....Totally TEAM CANADA! 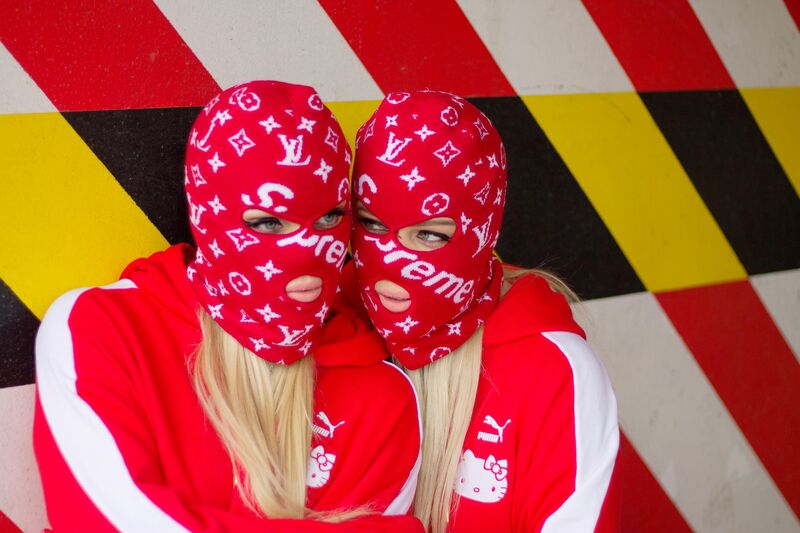 We also added some fun SUPREME/Louis Vuitton face masks in to the mix!